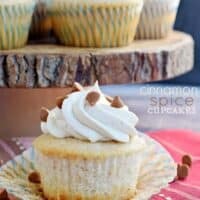 Looking for a delicious, from scratch spice cupcake recipe? 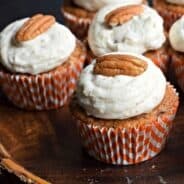 These Cinnamon Spice Cupcakes with sweet cinnamon buttercream frosting are homemade and absolutely wonderful! I don’t know about you, but I love spice cakes. I know in the grocery store you can pick up a box mix for $1, but have you ever tried making one at home? A few years ago I made this Eggnog Cheesecake Cake and baked a from scratch spice cake for the base. It was fantastic. And while I have used that cake many times in recipes, I hadn’t made spice cake cupcakes. 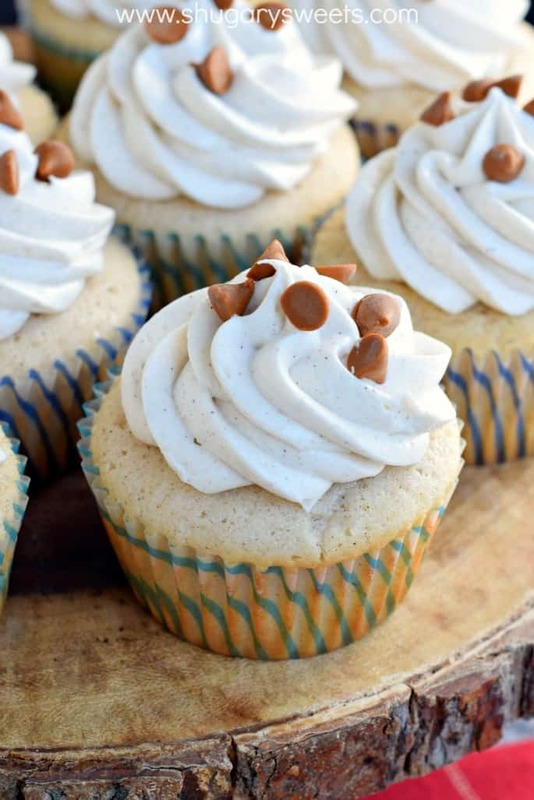 These cupcakes have such a moist crumb, and I topped them with a sweet cinnamon buttercream frosting. I also added some cinnamon chips as a garnish (best decision ever)!! My oldest daughter is a competitive swimmer, and she will usually give me less than a 24 hour notice when she wants to bring treats to the team. 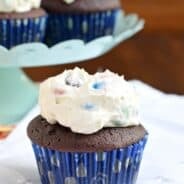 Cupcakes are usually my go-to treat as they are easy to make and easy to travel. Plus this recipe makes 2 1/2 dozen cupcakes! Always start with softened butter. I usually take my butter out when I start baking the cupcakes. By the time the cupcakes are baked and cooled my butter is ready for making the frosting! Using an electric mixer, add your softened butter to the bowl and beat the butter for about 3 minutes. The butter will be soft, smooth, and pale in color. THEN add the remaining ingredients and beat for an additional 3-5 minutes. This is enough frosting to do a nice swirl on each cupcake. Use a disposable pastry bag and tip of choice to decorate. Be sure to sprinkle with the cinnamon chips immediately so they stick and not fall off! Copycat Hostess Cupcakes: rich, decadent chocolate cupcakes that are better than your favorite childhood treat! 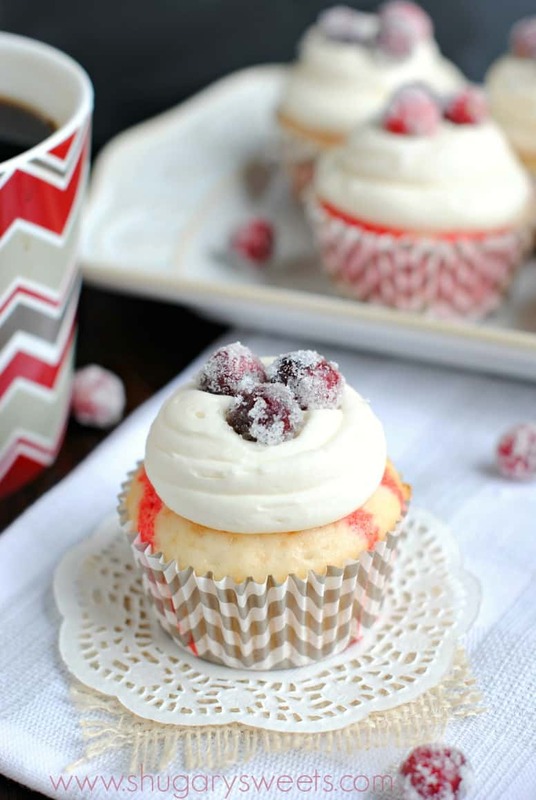 Cranberry Poke Cake Cupcakes with an easy, sugared cranberry recipe too! 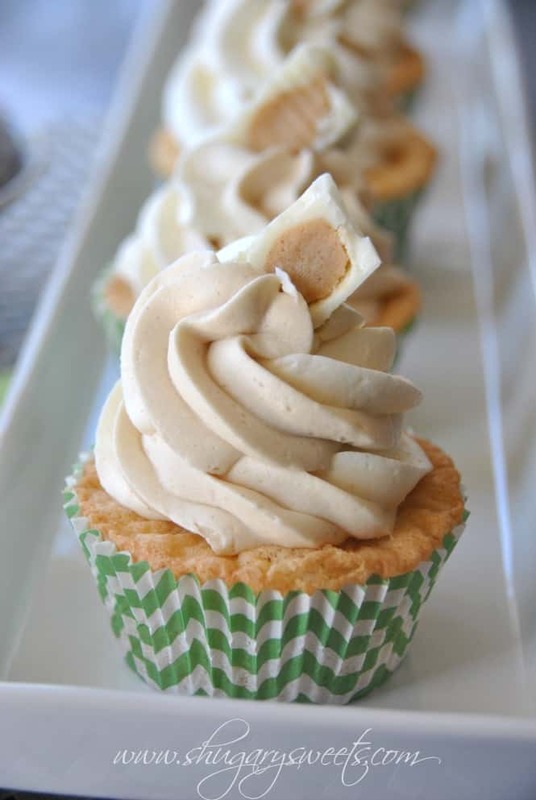 White Chocolate Cupcakes with Peanut Butter frosting! You’re going to want this one! Spice cake is such an under-appreciated cake flavor. People forget to make it, and then whenever I do, it’s consumed in seconds flat. We should start a spice cake trend this holiday season! These cupcakes look completely divine. I’ll be trying these! I love spice cake! It’s one of my favorites and the cinnamon chips….I’m never without them! These are gorgeous! 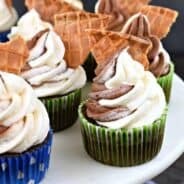 Love all the great tips to make these fabulous cupcakes! I LOVE cinnamon Aimee, and these cupcakes look just perfect! Those little flecks of cinnamon in the frosting are fabulous! Aimee, these are gorgeous! I love anything cinnamon but a cinnamon cupcake? I could faceplant into a tray of those! I don’t know why I don’t make spice cake more often. It’s so good! These are beautiful! Cinnamon everything! These cupcakes look so good, I wish I could eat a couple right now! Spice cake is a personal favorite of mine and with cinnamon chips – yes please! So pretty! These are gorgeous! I love spice cake! Looks so yummy. Thanks for the recipe! I can just imagine sinking my teeth into one of these cupcakes! I love using cinnamon especially when it gets cold and I want to feel warm inside! Looks great! I do love a good spice cake! I don’t know why I don’t make them more often too!!! Love the extra cinnamon chips sprinkled on top of these!!!! 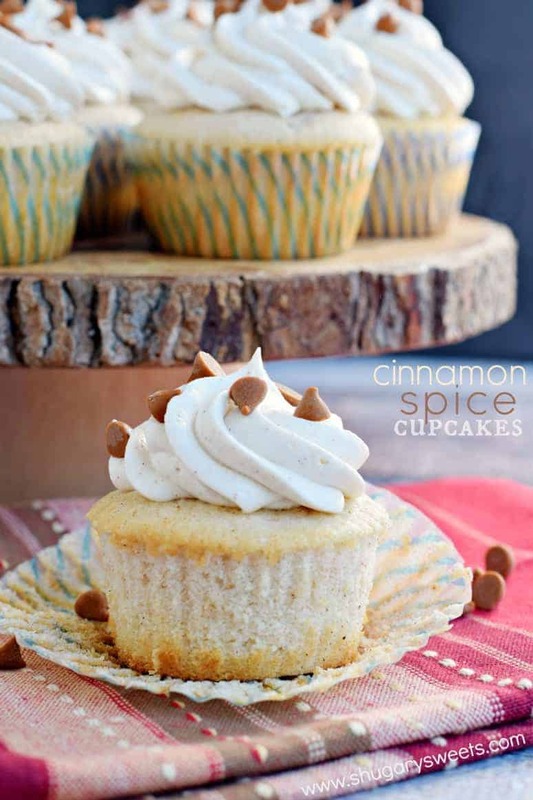 I am 100% with you, spice cakes rock… but cupcakes have my heart, so a combination of the two is epic! 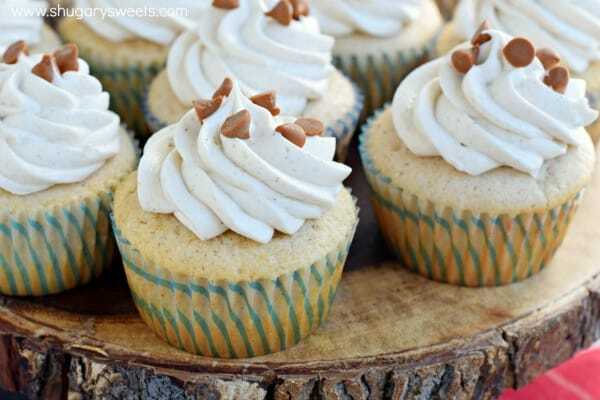 Love the cinnamon buttercream frosting with the cinnamon chips! 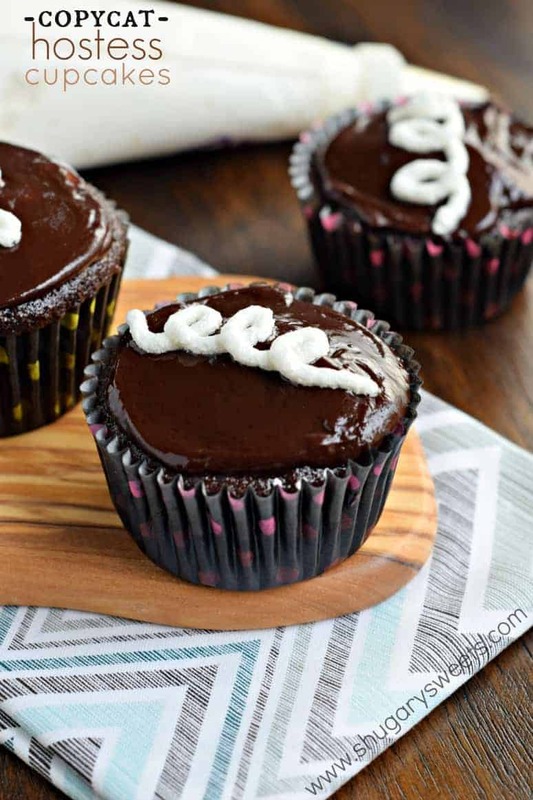 These cupcakes are tres cute and totally up my alley! Pinned! Cheers and thanks for sharing the YUM! Yes to anything spice cake. I also have a serious weakness for cinnamon chips. Great flavor to the cake, but I didn’t expect it to be quite so spongy in texture. I made a cinnamon cream cheese frosting, and did a two layer cake instead of cupcakes. My husband loved it, and that is what matters =) Thanks for the recipe, and I am looking to try some of your other recipes. These are AMAZING!! SO good! This is my new favorite recipe!